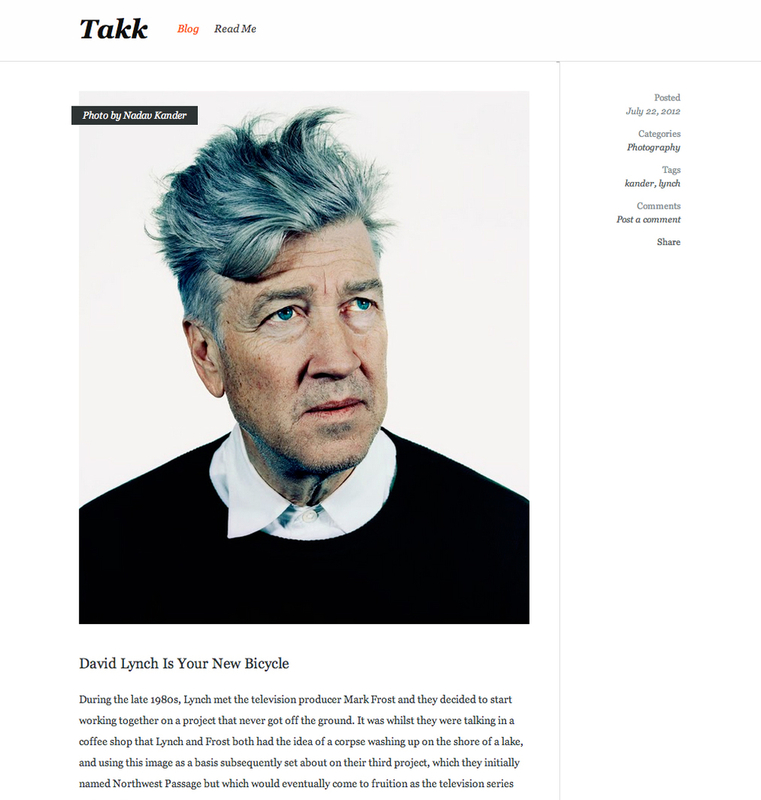 Takk is a blog with unobtrusive styling and lots of white space. Best suited for showcasing large photographs and other graphics. Three preset styles can be found in a drop-down menu at the top of the Style Editor. If you have a logo, drop it in the Logo Image area. Large file? No need to resize. Use Logo Image Size in the Style Editor to set the maximum height. Or, create your own custom logotype with the Site Title settings in the Style Editor. Use the Social Link drop-down in the Style Editor to customize the colors of the Social Link Block. These can be set to white, black, or brand colors. Turn on the Show Social Icon toggle when creating social accounts, and linked icons will automatically appear in the Footer. Header Display includes options to position your logo and navigation links adjacent to each other, split on opposite ends of the page, or stacked with the site title on top of the links. By default, your site will not include a Sidebar. Options are listed in the Sidebar Position drop-down menu to display a left sidebar, right sidebar, or none at all. Sidebar Display has options to display the sidebar on the left, right, or not at all. Post Author is a toggle for the author credit in blog post details. Registration Marks is a toggle to show or hide the graphical registration marks that appear in the header, footer, blog details, and sidebar. Mobile Text includes options to display serif or sans-serif fonts optimized for mobile devices. Fixed Header Position will set the navigation bar to scroll with your page, or remain fixed at the top of the page as it scrolls.